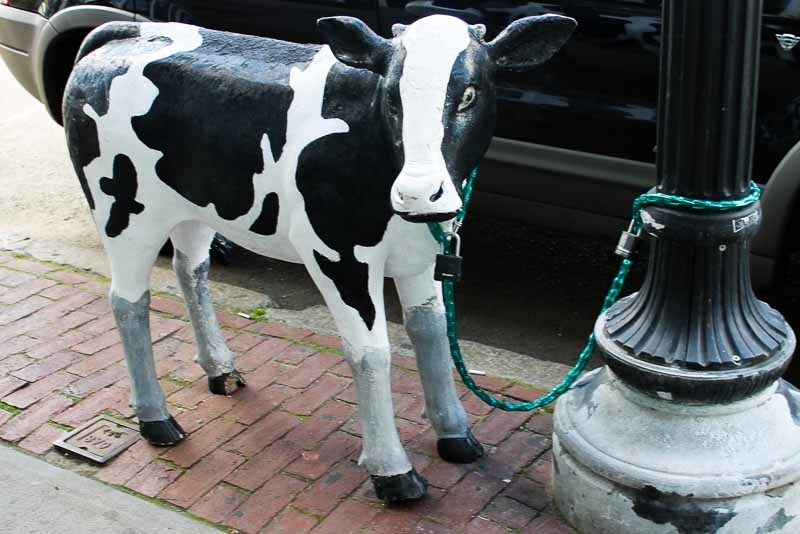 My friend Anna and I moseyed on over to the Cambridge River Festival – which, due to construction, was held in Central Square and not actually on the river – today. There were lots of artists and vendors, music, and performers. It was great fun! I even bought a cute glass frog to add to my collection of crawly animal figurines. The first thing we came upon was a clown juggling. 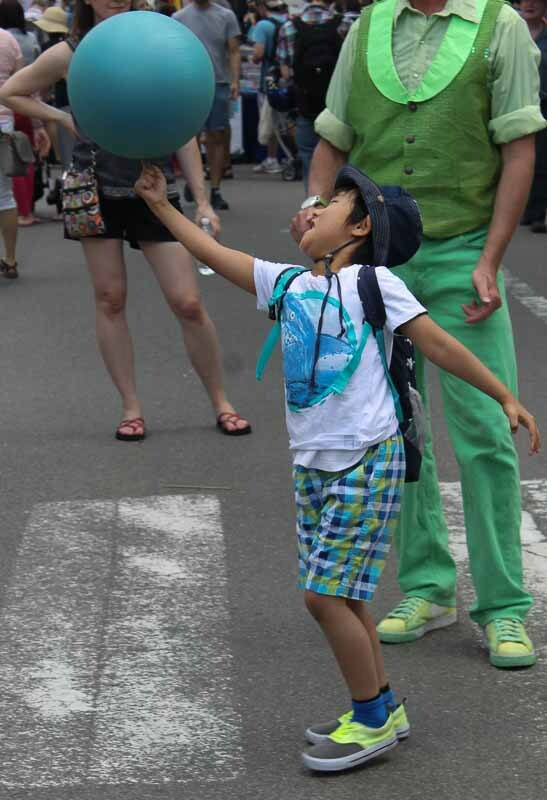 He got a few child volunteers and helped them spin a ball on their fingers – very “Space Jam”! 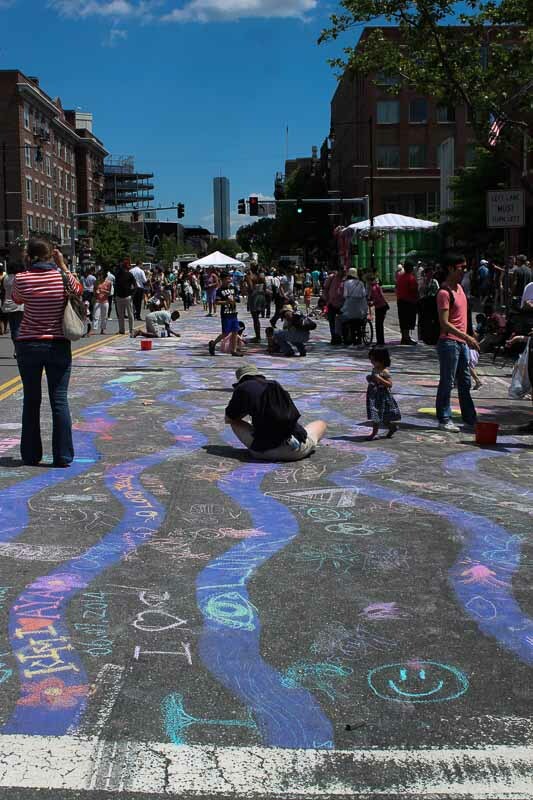 There was a giant area on the street set aside for chalking. Adults and children alike were going to town on that bad boy. 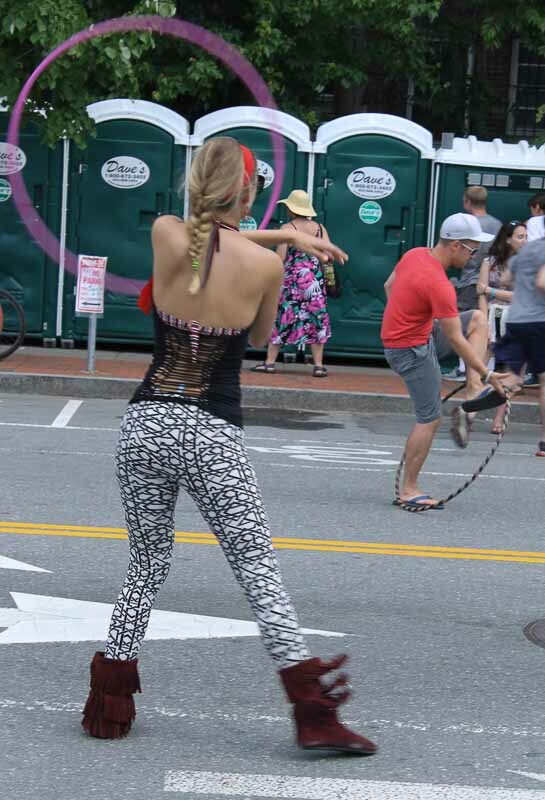 Hula hoopers! 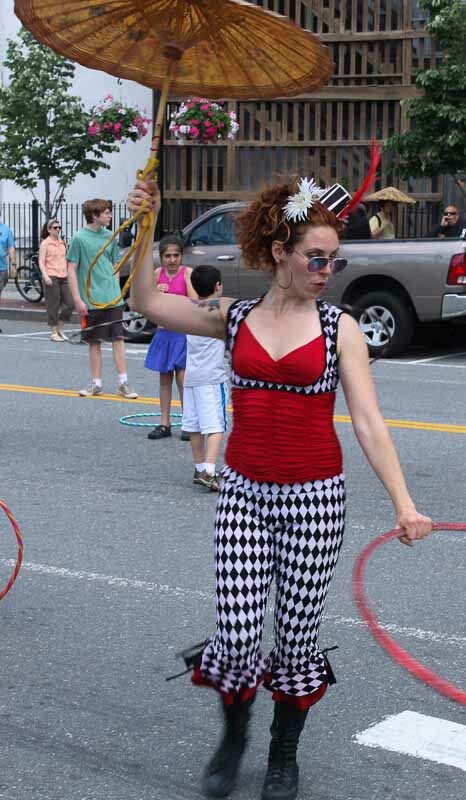 Another area had been set aside for hula hooping and a few of the people there, like this woman, looked like professionals; they hula hooped excellently and offered advice and encouragement to the others. Possibly the best dressed person in the festival – I loved her hat and parasol! 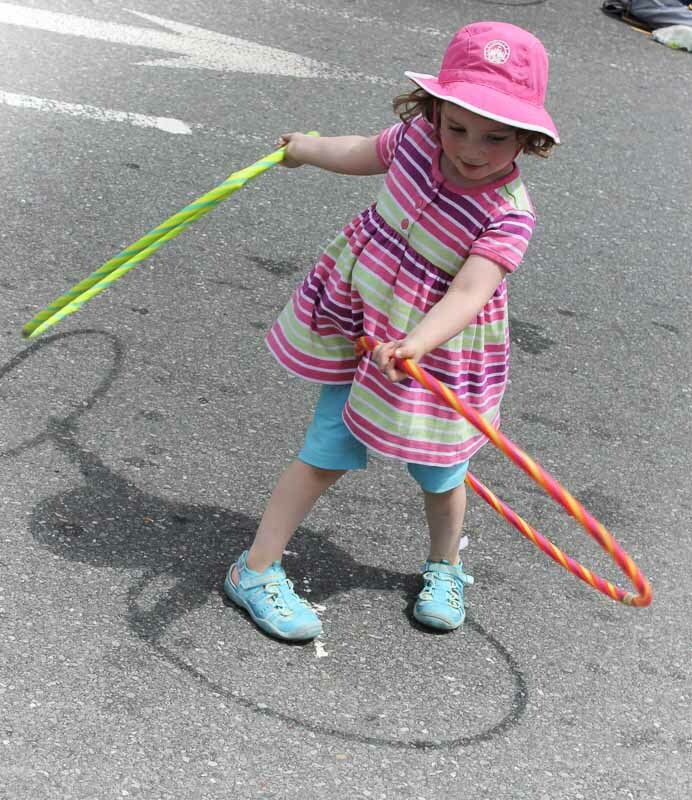 This little cutie was also enjoying the hula hoops. She threw one across the pavement in a fit of artistic expression and I had to hide my laughter because her mother clearly wasn’t amused. 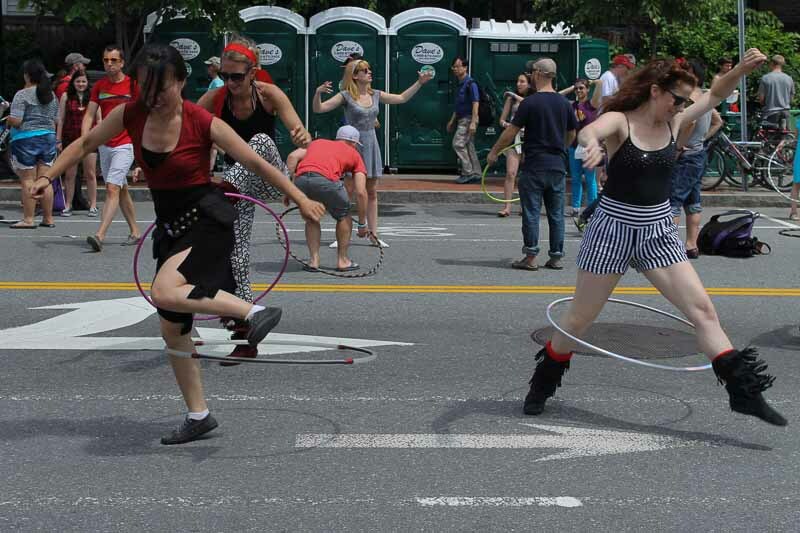 The very talented hula hoopers did a little number together. I was quite impressed. 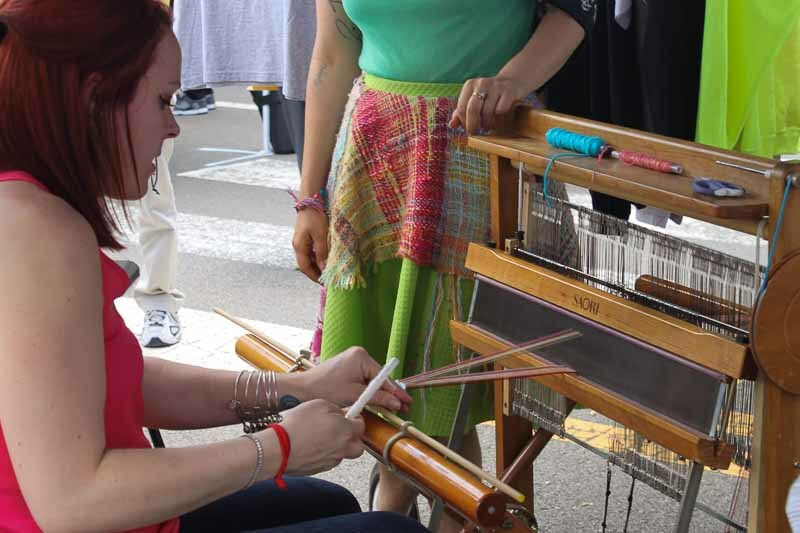 A booth in which you could weave your own bracelet. I did not, unfortunately, having not the patience for the domestic arts, but it looked really cool! Hi! Thanks for commenting! I don’t mind at all if you use them, as long as you attribute them to me (and a link-back would be nice, of course.) It was indeed in Cambridge, MA. No problem! I’m flattered you asked!